Iranian merchants exported some $715 mn worth of clothing and garments during the first seven months of the current fiscal (March 21- Oct. 21), registering a significant growth in comparison with the corresponding period of last year, a senior official said. Speaking on the sidelines of 6th International Apparel Exhibition (Iran Mode 2018), Golnar Nasrollahi, Director General of the Textile, Apparel and Leather Industry Organization, affiliated to the Ministry of Industries, Mining and Trade, said that $715 mn worth of garments were exported during the seven-month period, registering a 28 per cent hike in comparison with last years similar period. 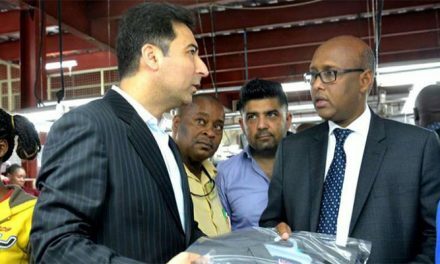 She pointed to the skyrocketing rates of foreign currency in the past months and the promising boost in the sector’s productivity as the two main reasons behind the growth in the exports of clothing and apparels. 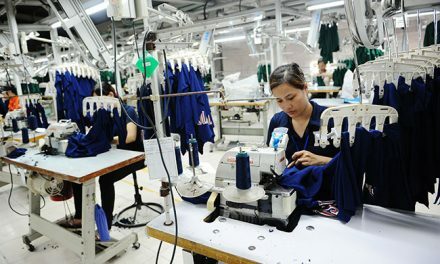 Supplying raw materials for textile industry has been put a top priority of the Ministry of Industry, she said, adding, “The country’s current economic situation is in favour of producers, provided that their required raw materials are fully provided.” The imports of basic raw materials, such as fibres, have witnessed a significant growth as compared to the same period of last year, which proves the development in the industrial and production units’ activities, the official said. The 24th edition of Iran’s international exhibition of Textile Machinery, Raw Materials, Home Textiles, Embroidery Machines and Textile Products known as IRANTEXT and the 6th International Apparel Exhibition (Iran Mode 2018) kicked off at Tehran Permanent International Fairgrounds.